One of the most stayed tourist hotel in Pipalkoti is Hotel Le Meadows. It is situated on the Badrinath Highway. The hotel provides aesthetically furnished deluxe and super deluxe rooms with attach drawing area. Each room has TV, telephone and attached bath with hot/cold water supply and a good scenic view. This is an ideal place to stay for tourist who wants to visit Badrinath, Auli or Chopta. Hotel Le Meadows is located on the main Badrinath road, just 4 kms before Pipalkoti. 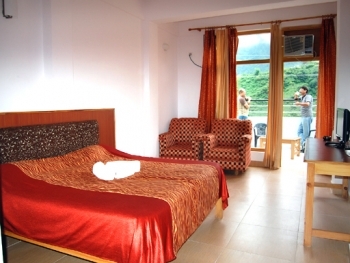 The luxury hotel is strategically located between Joshimath and Chamoli. Joshimath is an hours drive from the hotel. The Hotel le Meadows is located between Chamoli and Pipalkoti on the Badrinath Raod and easily accessible from Haridwar, Rishikesh and Dehradun. 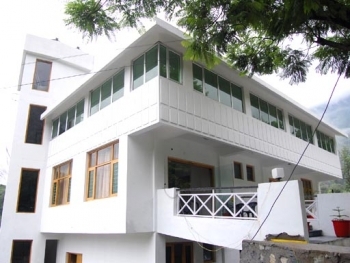 Hotel Le Meadows is a 23 room aesthetically constructed luxury Hotel. There are 4 rooms with AC, 1 family rooms and 10 non AC Deluxe rooms. All the rooms are equipped with cable TV, generator and solar heater for hot water. Masala Mantra is the restaurant in Le Meadows Hotels which provides vegetarian food both Indian and Chinese. South Indian snacks are also available.